It begins operations on December 17. 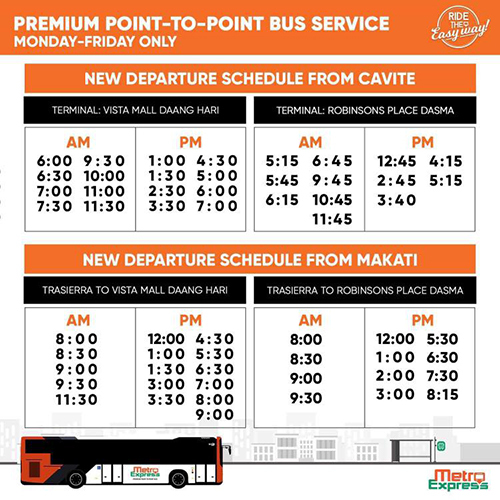 (SPOT.ph) As mentioned by the Department of Public Works and Highways, there will be more point-to-point bus services from Cavite to Makati soon. 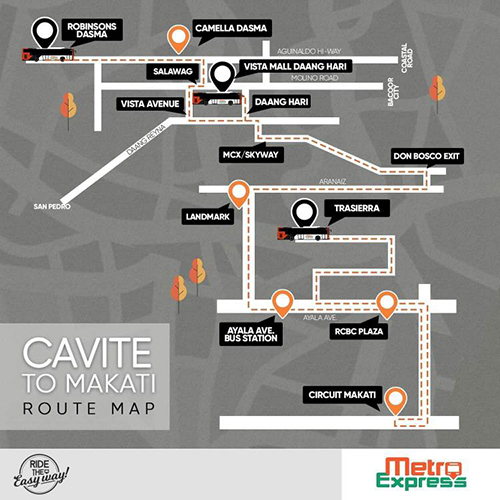 Metro Express finally announced the new routes with pickup points from Dasmarinas and Bacoor to various drop-off points in Makati. Operations start on Monday, December 17. Commuters going to Makati from Dasmariñas and vice versa will have to pay a fare of P150 using the PrimeTap card. Those taking the Bacoor to Makati route will be charged P110. Terminals are located at Robinsons Dasmariñas and Camella Dasma Hi-Way; Vistal Mall Daang Hari in Bacoor; and Trasierra in Makati. Buses will also be dropping off passengers in Landmark, the Ayala Avenue Bus Stop, the RCBC Plaza, and Circuit Makati. 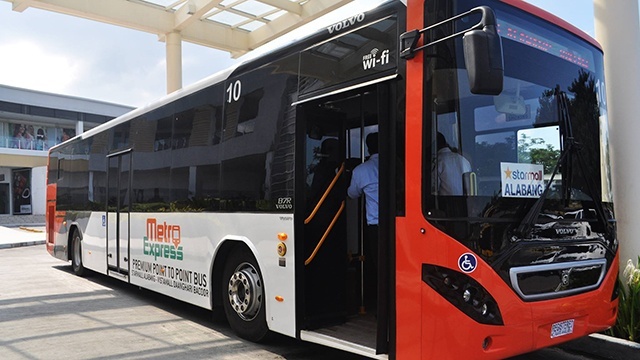 As of writing, Metro Express has not made any announcements about the weekend schedule for these routes. UPDATE (December 19): This article has been updated to include the fares for each route.